A few weeks ago I subscribed to In the Moment magazine. It had popped up on my feed a few times and I’d passed it in Sainsburys but never stopped to pick up a copy. I couldn’t argue with five issues for £5 and thought it would be an interesting change for the commute. My first issue dropped through my letterbox just ahead of my surgery and it was perfectly timed. It was a welcome distraction while I waited to head down to theatre and it has been handy to pick up in between sofa naps during recovery. 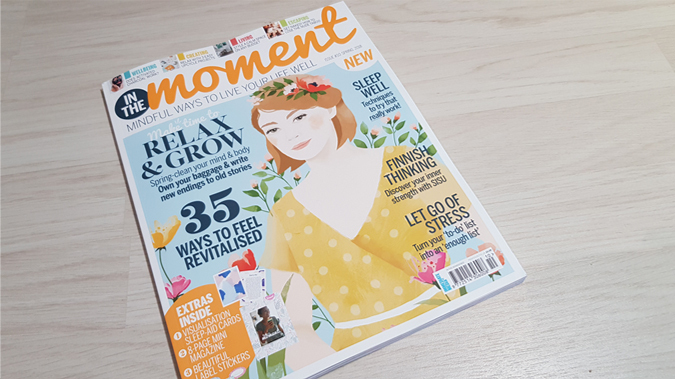 It’s a simply but beautifully designed magazine with really interesting features, plus helpful suggestions for mindfulness and self-care. There’s plenty to learn without it seeming preachy or patronising. 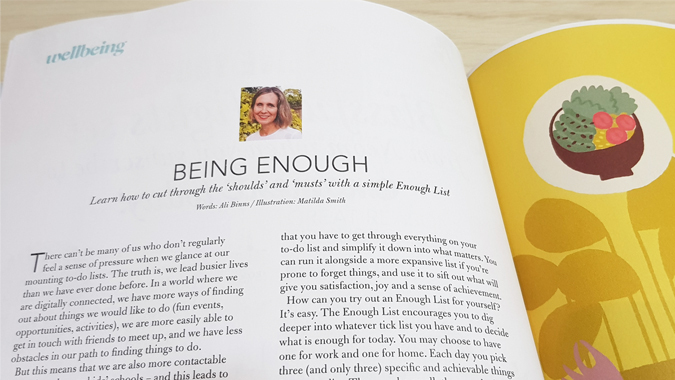 As someone who often pushes themselves to do too much and needs to learn to delegate and simply do ‘enough’ sometimes, I found Ali’s piece on Being Enough really enlightening. 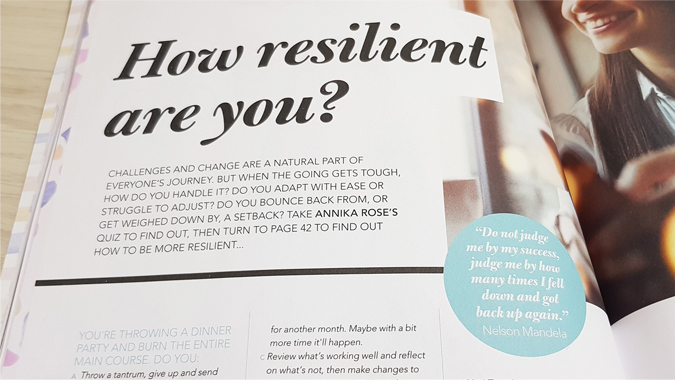 I also found the quiz and accompanying tips on resilience really useful. I’ve always thought I’m quite over-sensitive and quick to be knocked down but actually I’ve grown to be pretty adaptable lately. 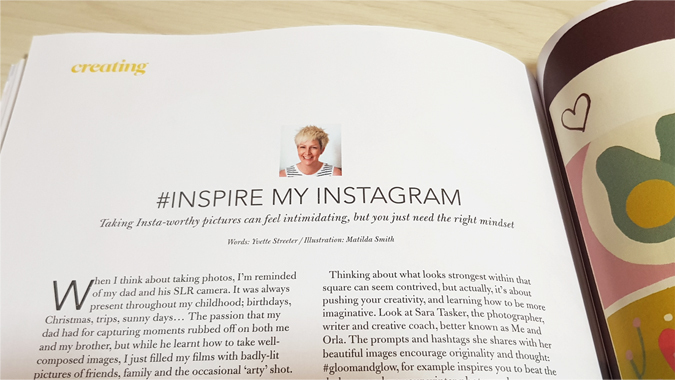 I’ve got a post scheduled for next week on Instagram and Yvette’s post on being inspired by Instagram came at the perfect time for me. There’s a lot to take from this magazine and it’s such a bargain at £1 an issue for my subscription. The usual cover price is £5.99 so it’s worth keeping an eye on their Facebook page for upcoming deals. If you like magazines like Simple Things and Breathe, give it a go. It came with a really beautiful short story which was possibly the highlight of the issue for me – perfect for a lazy Sunday.